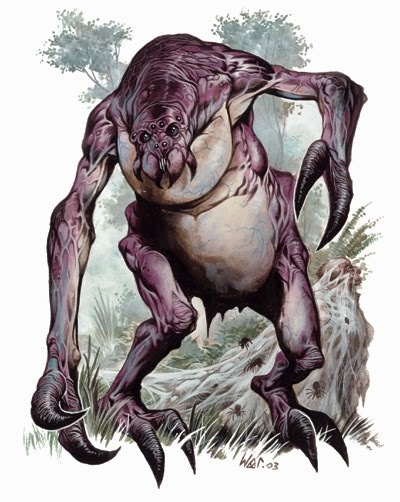 The Ettercap is one of my favourite monsters. I love the idea of a spider -man that can control lesser spiders. The Ettercap makes a great mini-mastermind type villain in my opinion. A great controller behind attacks or a lair full of spiders. I let my Ettercaps use scavenged weapons and equipment, like rusty swords and broken armour. I also think they should be devious trap makers. 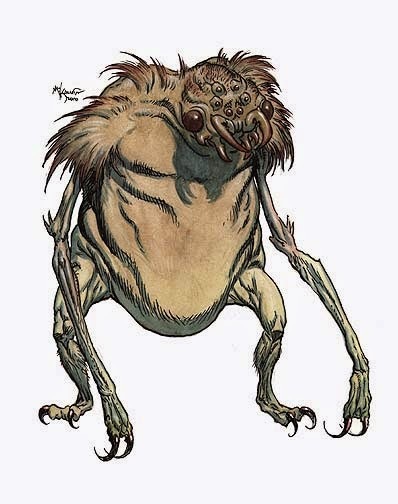 "At the end of the horrible gauntlet a grotesque half-man-half-spider thing is brandishing a rusty longsword and wearing a tattered cape. At it's feet the bound village girl struggles weakly on a primitive altar. The walls are painted with horrifying images of eight legged deamons. 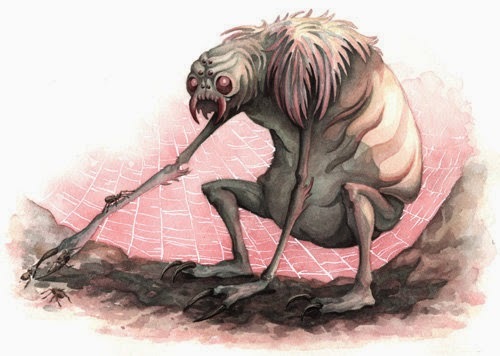 As you charge towards the altar three giant spiders drop down from the ceiling... "
I'd really like to add some more substantial posts but I've been feeling under the weather.